Photo courtesy of Casey Bisson of flickr creative commons. http://bit.ly/fishjob Attribution-NonCommercial-ShareAlike 2.0 Generic (CC BY-NC-SA 2.0). Trout season is approaching in Pennsylvania! Would you try to catch those fish by throwing stones at them? Throwing stones could possibly work, but using a fishing rod is a much better idea. We’ve all heard the saying: “Give a man a fish and you feed him for a day; teach a man to fish and you feed him for a lifetime.” Learning how to fish is great, but you’ll still need the right pole. A rod used for fishing in a serene lake is very different from a rod used to fish in a choppy river. You also can’t ignore the importance of a good lure, bait and a hook. Not being able to catch fish means starvation, especially if you’re dependent on that catch for your meal. At the very least, you’ve wasted your time and energy with efforts that don’t pay off for the day. How many days can you do this before you give up? Likewise, when it comes to job opportunity, skills are crucial, but you still need the right set of tools and a good location to reel in an employer. Like a fish, a good employer can provide substance in the form of financial security, a sense of purpose, and putting your passions to use. If you were going fishing, you wouldn’t start by running to the closest creek and casting your line. First you would decide on what type of fish you’d like to catch. Then you would research an ideal fishing location, and ask a few fishermen to tell you about it. Next, you would get your gear in order and you would be certain to make sure you have the right pole for the situation. You can think about job hunting in the same way. You locate your ideal employers, research the company, work your networks, manage your brand, revise your résumé and review it. Do you want to work for a large employer, or a small company? There are positives and negatives associated with employer size. A smaller company will most likely have you wearing multiple hats. In other words, all of your skills will be put to use. If you’re the type of person who likes doing multiple jobs that take advantage of your dynamic skill set, a small company could be a great fit. If you prefer to do a specific job, and you don’t mind being slotted into one position, a larger company may be a better fit. It really depends on your needs, and your ability to identify those needs. These are typical characteristics of jobs at smaller and larger companies, but there are also exceptions. Your target list goal, if your criteria defy those typical characteristics, would be to identify those exceptions and research, network and market to them appropriately. Once you have a company size in mind, and a possible employer, it is time to research that company. Job review sites like Vault or Glassdoor are great places to get a feel for employers, including salary rates. There may be companies worth flocking to. Other companies may raise too many red flags, or may not be a good cultural fit. I wrote extensively about this process in my article, “You Can’t Afford Not to Investigate Your Next Employer!” In addition to salary and healthcare benefits, vacation time can be considered as part of your compensation package. At this stage you’re still at the pre-qualification level, not unsimilar to when an employer determines if you meet the minimal qualifications for a job. At this point, you’d really want to do as thorough a job searching them as they would do to qualify you. There are some great research tips within the Daily Job Search Tips on the Accelerfate Facebook page. Networking is an outlet for your personal brand, and your brand messaging should be consistent with networking as with your content. A well-crafted online presence can be thought of as a lure for job recruiters. For working professionals, LinkedIn is absolutely the best place to be. Over 97% of recruiters looked for talent on LinkedIn in 2012. It also serves as a great tool to engage with recruiters, and further research an employer. You can receive job postings along with company news through the service. The postings are a great way to become aware of opportunities and to find out who you know that could recommend you for the job. If you haven’t updated your LinkedIn profile recently, make sure you’re not using a default headline and that your profile doesn’t mirror your résumé. Make connections to your corporate and school alumni, if you haven’t already. You can also take your experience on LinkedIn to the next level by joining groups within your industry. Facebook and Twitter are other platforms for your personal brand. You can cultivate your presence on these networks in order to capture the attention of employers. These are great tools for sounding off about your industry, keeping abreast of news, posting news, and following influential people within your industry. 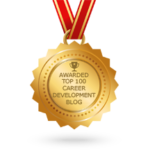 Professional blogs are also a great way to demonstrate your knowledge about your industry. Workers with a passion for their field, and those who take the initiative shine brilliantly, and stand out from the competition. Again, if your personal brand can be likened to a fishing lure for employers, bold and bright lures tend to capture attention. It’s like being the most attractive, juicy bait for your ideal catch. A fishing pole, lures, and other types of bait aren’t very useful without a good hook. No one wants to work hard with networking and personal branding, only to let the job get away. A well-polished résumé and cover letter can get an employer to bite. A personalized cover letter is the result of your research on a company. It stands out and makes it impossible for a hiring manager to ignore, even if the company isn’t hiring at the moment. A generic cover letter makes it much easier for a recruiter to ignore and weed out potential candidates. My vlog, “Our Cover Letter Secret Sauce” discusses how to write a customized letter. A well-tuned, well-customized letter can garner same-day responses from top executives at highly attractive employers. After all, taking the time to write a great cover letter shows an employer how passionate you are about the position, and how you could bring that same passion to the workplace. A résumé is the deciding factor in getting that all important interview and most hiring managers only spend a few minutes looking at them. Taking the time to invest in a professionally written résumé can help you stand out from other job seekers. You are competing with hundreds of other potential candidates for the same position, and hiring managers are inundated with résumés and cover letters on a daily basis. The key is not just having a powerful, branded résumé, but getting it in front of decision makers. You have your job skills, and you’re very good at your job. 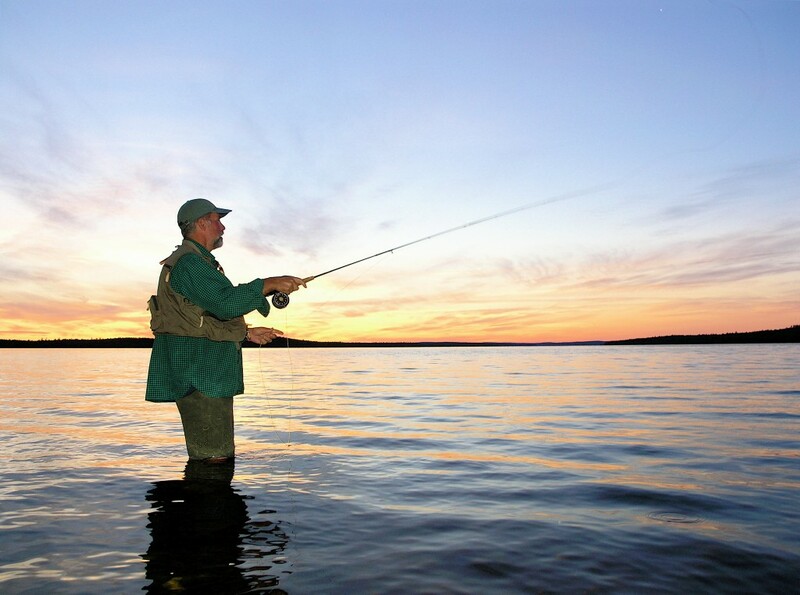 Think of landing a position at a new employer, like catching a great fish. Locating a spot where few reels are cast by others, wrestling with the fish, the excitement of pulling it into your boat and ultimately tasting the success of your hard work is a thrilling reward. Not only are you great at sustaining yourself with the job hunt, you can easily do it again the next time you’re ready to move on. New employment opportunities can bring greater financial gain, and renewed passion in your professional life, especially if you feel stagnant at your current employer. To get to the next level of your professional life, you’ll have to reel in a great employer, and you’ll need a good set of tools and the right techniques to stand out from the crowd. These techniques consist of brand management, going to where the recruiters are, and reaching out to hiring managers to ensure that they see your cover letter and résumé.